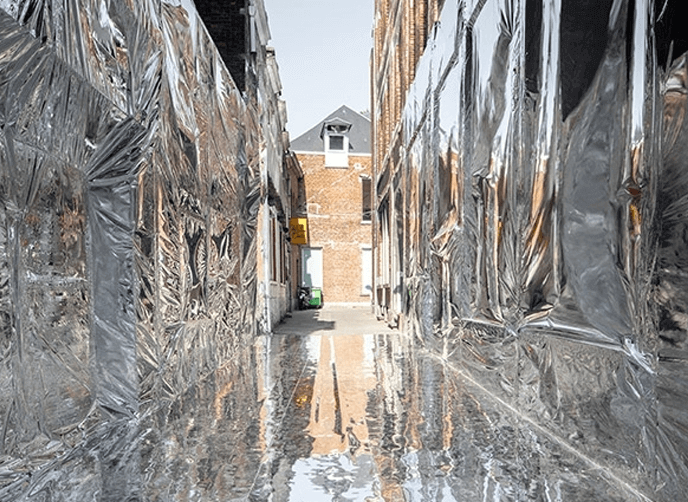 A street in Leuven, Belgium was transformed and covered in silver Harlequin Hi-Shine vinyl flooring by event producers ‘and&’ and architects ‘Studio L A’ as an art installation for the Leuven MindGate summit in May 2018. The and& conference brought together health, technology innovation and creative industries with local government to promote the region. The ‘Art Interventions in Public Spaces’ programme was curated by Samir Bantal. 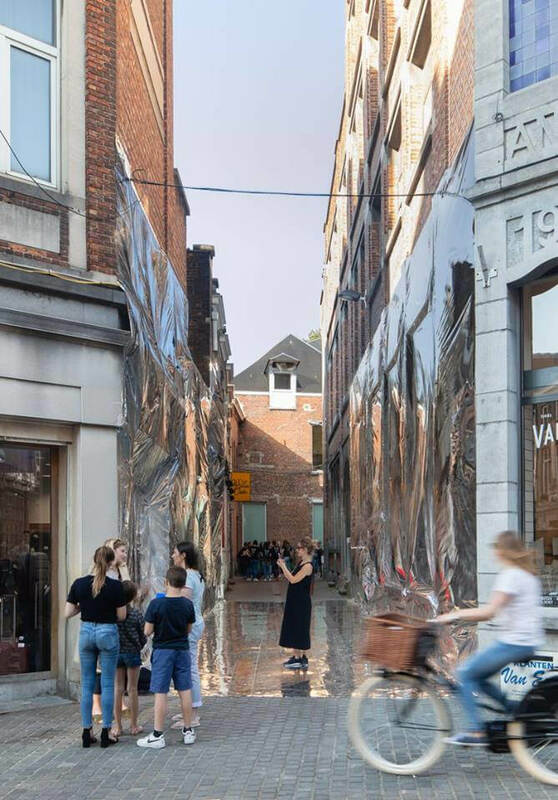 Dutch architecture studio Studio L A commissioned Harlequin Hi-Shine in silver for its reflective qualities for the installation entitled “Mirror mirror on the wall who is the fairest of them all”.